In a world where lies are exposed everyday, whether they be the extent of a government agency's spying, a journalist's embellishment of the facts, or just a made up post to Facebook, the truth has become a rare and precious commodity. In the right circumstances, it can change lives and topple regimes. True Story, a film by newcomer director Rupert Goold, examines how we view and use the truth as it adapts Michael Finkel's true crime book of the same name. True Story follows two men: the first is Finkel himself (played by Jonah Hill), a journalist with the New York Times who was fired and ostracized for fictionalizing an article about abuses in charity. 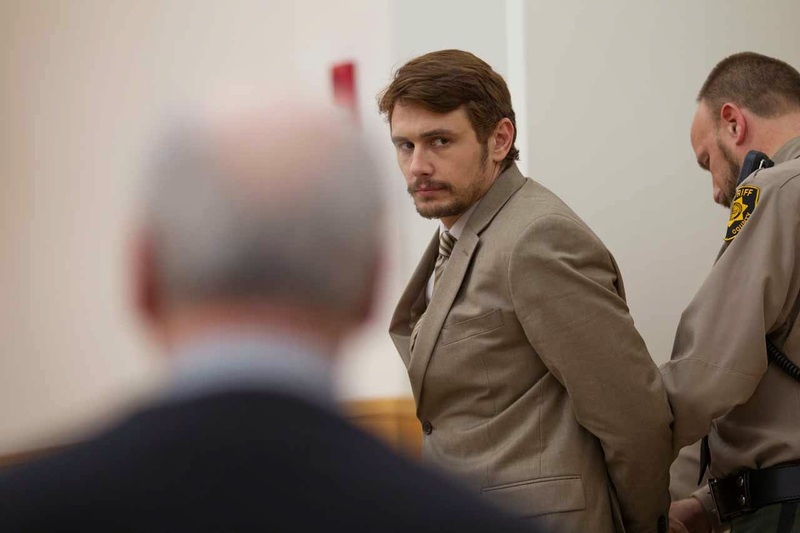 Opposite of Finkel is Christian Longo (James Franco), a man who is arrested based on extremely compelling evidence that he murdered his wife and three young children and dumped their bodies in the waters of Newport, Oregon. Their paths cross when Finkel hears of the case due to the fact that Longo was inexplicably pretending to be Mike Finkel as he hid out in Mexico after the murders. Longo agrees to give Finkel exclusive rights to his story–which could potentially revive Finkel's comatose career–in exchange for teaching him how to be a good writer. Because the story is so tightly focused on these two men, their performances are key to selling the dramatic tension. 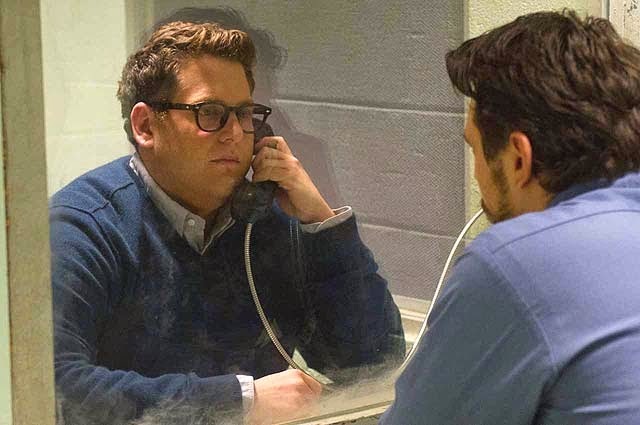 Jonah Hill continues to show that he's got the chops to escape his goofball early days; he plays Finkel with just the right amount of pathos and guilt to make him believable but not a sad sack. When he gets involved with Longo, we feel his excitement at the potential for a great story, and that is largely due to Hill's admirable skills. 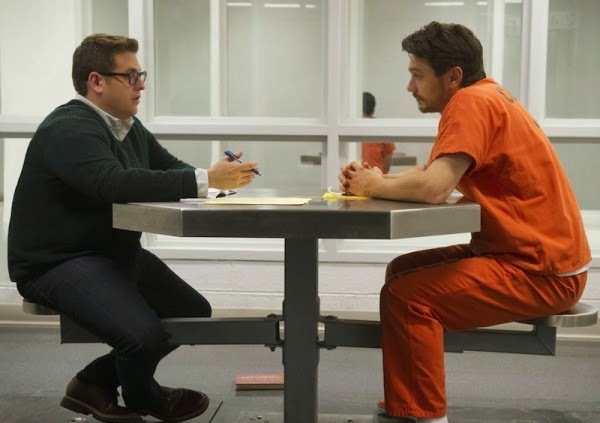 Franco is no newcomer to deeply serious drama, but this is the first time he's had to play it straight when sitting across from one of his comedic counterparts. He does play Longo with a mysteriousness that keeps the film going, but there are times when his goofy charm feels like a placeholder for being truly enigmatic. The story is a very compelling one; while you are unsure of Finkel's innocence, you can't help but root for his redemption through these bizarre circumstances. The mystery of Longo's guilt and his motives really drive the narrative, but it's the relationship between the two men that make the story fascinating. They both have something to prove, and although things are very friendly at first–they both mention feeling like they've been friends in a different life–there's always a power struggle just under the surface that gives the film a bubbling tension that comes to a roar during the trial when we begin to understand Longo's motives and what truly happened to his family. True Story is written and paced well, with a few exceptions. The biggest of these is the use of Finkel's wife, played by Felicity Jones. She exists simply as a plot device; she only appears in certain moments of the film to reinforce Finkel's obsessiveness or Longo's manipulations, but has absolutely no character traits of her own. Poor Jones seems to get stuck with these sorts of roles (see: Theory of Everything), where there is potential for story and character, but the film takes a totally different route and leaves her feeling like her key moments have been edited out. This may have been the case, as the other pacing problems come from the sometimes distracting editing, which makes the passage of time seem jagged and unclear at times. One of the things I really liked about the film is the fact that no one is innocent; I was worried after the opening scenes that since this was adapted from Finkel's book, he would come out clean as a whistle, ignoring whether he had purposefully done what got him fired from NYT, but this is far from what we see. Instead, his guilt is played perfectly against Longo's, but neither is necessarily the hero. True Story gives us a sort of pendulum, swinging back and forth: at once, you believe Longo, and think the revelation of his innocence will parallel Finkel's return to glory; then, Longo may be using Finkel's desperate bid for redemption to his own advantage; then, Finkel is using Longo's pitiable situation for his own gain. It's not a roller coaster–it's a film about uncertainty and the unknowability of truth, and while you can't consistently root for the same character, that makes it all the more fascinating. Despite some minor pacing issues, the film is undeniably compelling. Both men are in strange circumstances, but the way it is portrayed lets you easily see yourself in either of their shoes. It's a slow build, one that asks for your patience as the mystery thickens, but the payoff that comes near the end of the trial is gut wrenching. True Story takes us to surprising places and leaves you wondering the cost of redemption and the violent depths of our desire to be believed. True Story releases this Friday, April 17th.